End Phone Number Management Headaches! Phone number management for voice and UC systems made easy. All in a beautiful, efficient and powerful application. NumberPro delivers features and capabilities well beyond what's possible using spreadsheets or the software that came with your system. 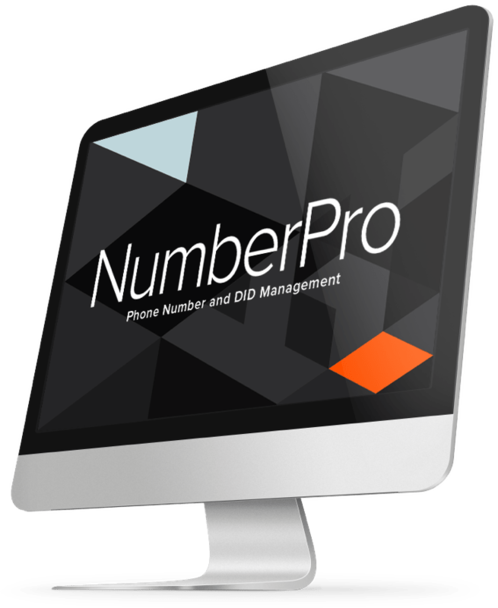 NumberPro takes the hassle and chaos out of number management in both single and multi-vendor voice and UC environments. Questions? Contact us at (800) 886-0390 or by email at TellMeMore@unimax.com. For more information about our full UC management software suite, please email us at TellMeMore@unimax.com. Let us count the ways. NumberPro delivers numerous powerful features. Immediatly locate the next available phone number, extension, DID, mailbox number, etc. Always know whether a number is available, reserved, used or in the aging process. Custom number ranges can be created anytime based on criteria such as location, department, etc. Numbers can be reserved indefinitely or for a set amount of time when managing special projects. Automatically transform numbers between formats such as 10-digit phone number, E.164, etc. Age recently unassigned numbers to prevent them from being used too soon. Unimax is a registered trademark. All other trademarks are the property of their respective owners. ©Unimax 2017 - All Rights Reserved. NumberPro is compatible in single and multi-vendor and multi-system UC environments. Drill into the details or zoom out with NumberPro's powerful, built-in reporting capabilities. Number management is dynamic. This causes spreadsheets and other manual tools to quickly become outdated. The result is a confusing mess that that causes organizations to either run out of numbers or unnecessarily purchase more numbers from the telco. Replace your number management Excel spreadsheets and other manual methods with NumberPro. Give your voice, IT, UC, HR and Marketing teams a tool that will reduce expense, save time, increase accuracy, improve work ticket resolution time, proactively solve problems and reduce errors.